The Cellar of Malhadinha Nova is traditional and sophisticated and brings together a unique set of characteristics favourable for the production of distinctive wines of the highest quality. Located just a few meters away from the vineyard, the cellar takes advantage of the sloping terrain which allows to make the entire wine making process by gravity. The grapes arrive packed in small boxes of 12 kg and are unloaded directly into the modern refrigerated wineries where treading perfectly blends the traditional wine making methods and technology in order to get the full potential that Nature offered the grapes in the vineyard. The barrel cellar, dug several feet deep down into the hillside, gives the wine excellent conditions for ageing. 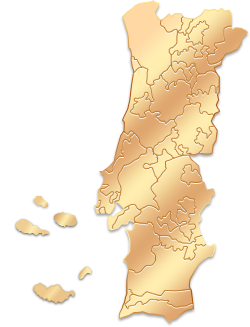 The Herdade da Malhadinha is located 1 km. (1.094 yd.) from de Motorway IP2. From Lisbon, take the A2 and then you should take the exit Aljustrel / Carregueiro / Entradas / IP2 Beja. After 2 km. (1 mi. 427 yd.) you will find a sign on the left indicating the Adega (Cellar). From Porto, take the A1 and A2 and then you should take the exit Aljustrel / Carregueiro / Entradas / IP2 Beja. After 2 km. (1 mi. 427 yd.) you will find a sign on the left indicating the Adega (Cellar). From Faro, take Via do Infante and A2. You should take the exit Castro Verde / Ourique / IP2 towards Beja. After 2 km. (1 mi. 427 yd.) after passing Entradas, take the exit Adega / Turismo Rural. (Cellar / Rural Tourism). "Our visit to Herdade de Malhaldinha was memorable. We were celebrating a special anniversary with friends and this was our surprise for them. The staff were so very helpful and we had a wonderful exclusive evening. The wine tasting and cellar tour were brilliant with a drive around the vineyard which was unexpected. The meal was wonderful and the staff had made a "surprise" cake for our friends which was a brilliant final touch. Would recommend this tour to anyone!"